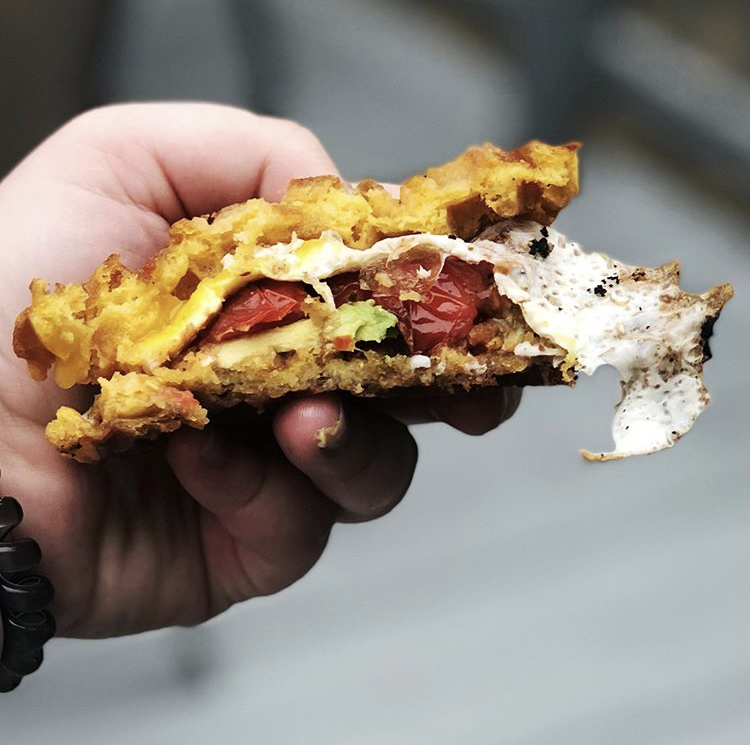 Our waffles make the perfect base for your sandwich concoction! This recipe is brought to us by @n_vergak. Toast waffles according to directions. (Optional: Spread I Can’t Believe It’s not Butter and grill with olive oil). If using 1 waffle cut in half. Fry egg to liking. Prepare tomato. Assemble egg, avocado, and tomato on waffle.